We have had three abseils in the past two weeks which have all been very sunny affairs! Firstly, there was an abseil from the Walsall Art Gallery on behalf of Walsall Stop Smoking Service which was part of the National Non Smoking Week! We had around 80 abseilers, most of whom were in fancy dress, so it was a great day for a great service. This last weekend we had two very sunny abseils – one was in Derby from Jurys Inn on behalf of Kidney Research UK and one was from Leasowe Lighthouse on behalf of the Red Cross. In all the three abseils raised around £20k for their charities. It was a pleasure to work in such nice weather – lets hope it continues. 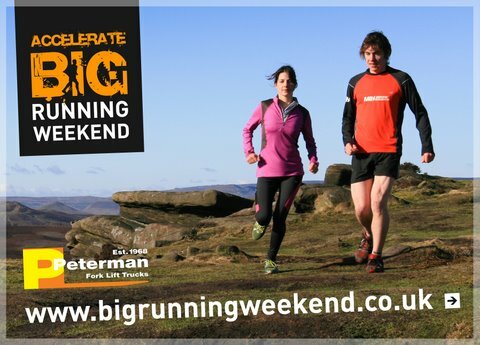 At last, after months of waiting Eight Point Two, in collaboration with Accelerate and Whirlow Hall Farm Trust, are proud to launch the Big Running Weekend! 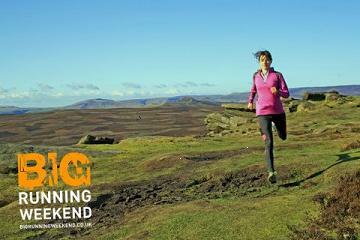 The weekend on the 25th – 27th August 2012 will comprise of several races including the ULTRA tour of the Peak District, The ULTRA relay, the 12.12 and the 10k fun run to name but a few. There will also be orienteering, kids races, trade stands, camping and a great party!! Quite simply a great running festival!! We had a great time down in the Cotswolds last week! The first Cotswolds Care Whole Hog was put together at Woodchester Mansion and provided a very hilly and tough course for the 6 miles it crossed (+ a bit). As always the first few miles were made up of hills to help thin out the teams ready for the real fun. At around the 6km the runners were met by the Lakes challenges and this carried on all the way back to the finish line. 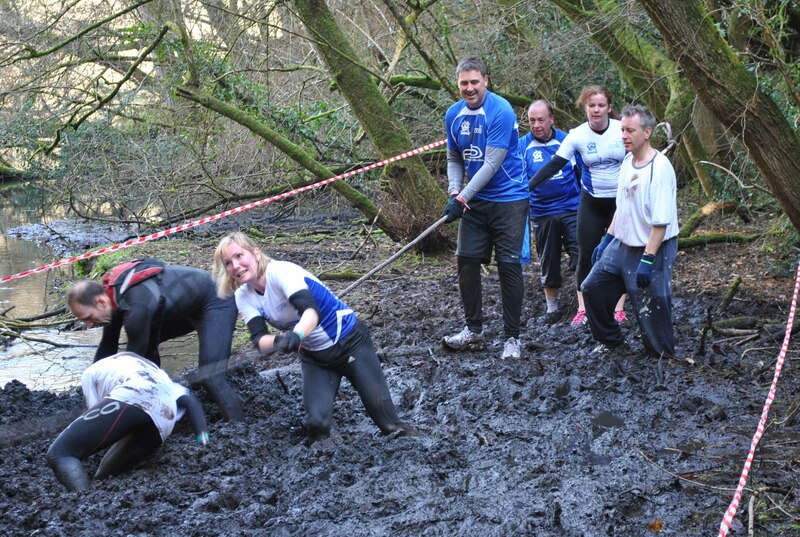 As always the highlight of the race was the obstacles – best of all was the hog pit which claimed at least two training shoes!! The Hospice had around 130 runners which helped them raise lots of money for their charity. 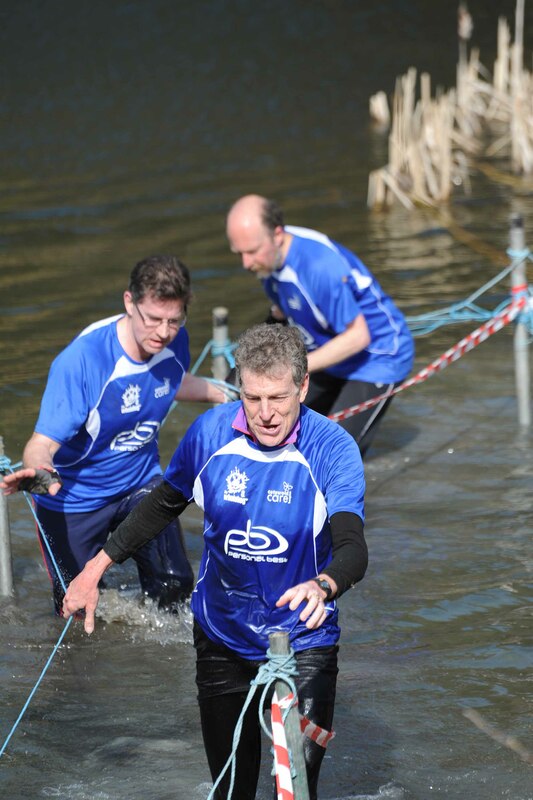 Well done to all the runners who managed to finish. For race results contact Cotwold Care! Eight Point Two have long been involved in event and race management. So, after a chance meeting between Stuart Hale (Accelerate) and Ian Loombe (8.2) a plan was hatched to put on a new race weekend in the Peak District. Very quickly Stuart had a start venue sorted at the Whirlow Hall Farm Trust in Whirlow. Bordering the Peak District this amazing site was ideal. So, on that snowy December day the race started to come together. As chief race planner for 8.2 Ian begun the process of putting the route together. This was surprisingly easy to do (on paper) as Whirlow offers a great start to any Peak District based race. However, both Stuart and Ian thought that the race needed to be something special so we wanted a trail run, plenty of ascent and, most importantly, a stunning race! The race route evolved over a few months in collaboration with the Peak Park Rangers. As well as the route being stunning we also had to balance the environmental impact of the race. In the end everyone was happy and in early February we were given the sign off! Not to give too much away but the route visits some of the most stunning scenery the Peak District has to offer, Burbage Valley, Stanage Edge, Derwent, Kinder, Edale, Bradfield, Castleton, Hathersage and back to Whirlow. The majority of the route is off roads and there’s plenty of ascent too. A fantastic challenge for those brave and fit enough to consider it! The Ultra is open to individuals and to relay teams. Relay teams must be comprised of a mixed team and each individual will run a leg of the Ultra (roughly 14 miles each). As well as the Ultra 8.2 have also added the 12.12 race. This route follows the Ultra for the first few miles then winds its way out to Burbage before heading back to Whirlow. Another stunning route for those of you wanting a more reasonable challenge! 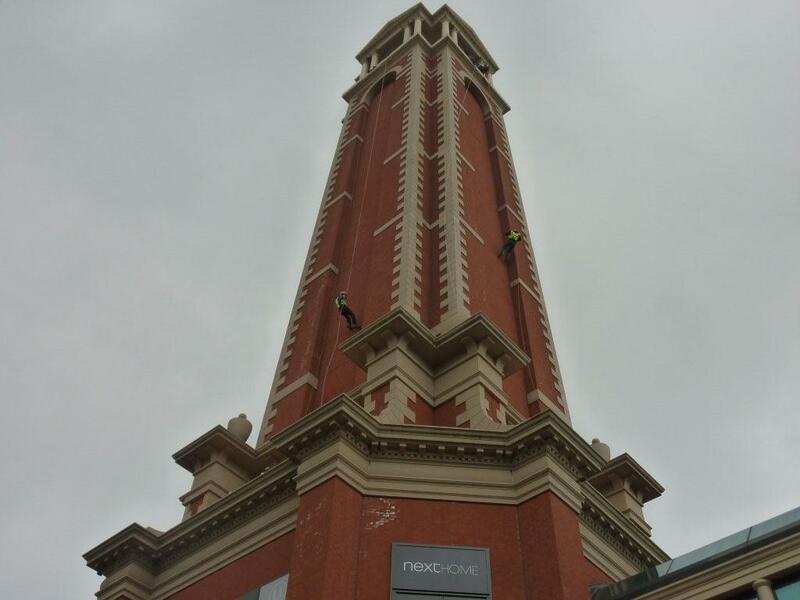 It was our first abseil of the year, at the weekend, with Manchester based radio station Key 103. Saturday was a blustery day but the 130 abseilers certainly didnt mind and we had a fantastic day. The highlight of the day was the Leap Year proposal from a young lady to her (very) suprised husband to be. 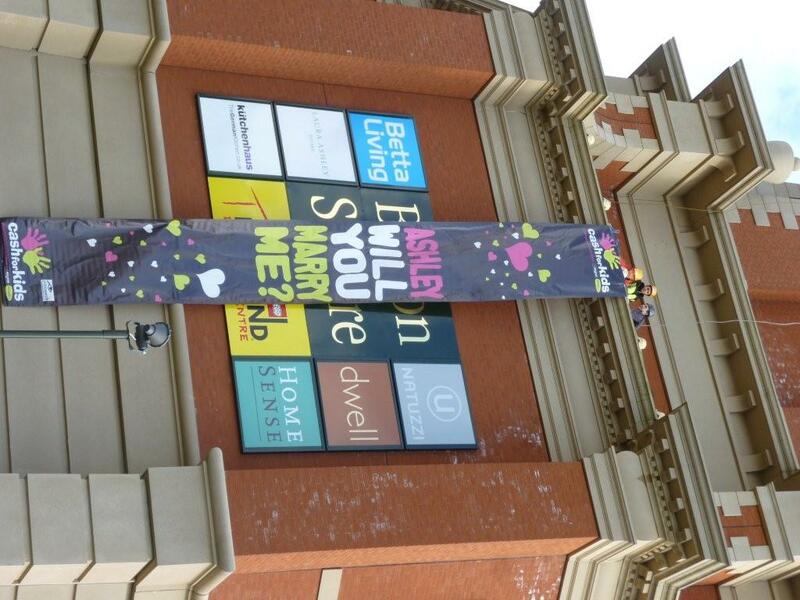 The proposal was far from discrete as we unfurled a 30 foot high banner with the magic words written on it! Key 103 had set up the whole thing and had contributed a £3000 ring for the happy couple.